We’d love your help. Let us know what’s wrong with this preview of The Practice Date by Victorine E. Lieske. From New York Times bestselling author of NOT WHAT SHE SEEMS. Jane’s been in love with her best friend Lance since they were kids. Best friend, that is, until he ditched her for the more popular crowd. What’s a computer nerd doing spending time with jocks anyway? When he asks her for help getting a date to the prom with the most popular girl in school she almost tells him From New York Times bestselling author of NOT WHAT SHE SEEMS. When he asks her for help getting a date to the prom with the most popular girl in school she almost tells him to take a flying leap. But she’d be spending time with him, teaching him to dance and he’d be holding her...that sounded like heaven. But how much practice can her heart take? To ask other readers questions about The Practice Date, please sign up. After a foray into science fiction, New York Times bestselling author Victorine E. Lieske returns, in part, to familiar territory. The Practice Date is a roughly 11,000-word novelette that is a romance (like Not What She Seems) and is young adult (like The Overtaking) but is neither a suspense story nor a science fiction tale. Think of it as a short John Hughes film, in print form. Like the Reader's Digest annotated version of Pretty In Pink. Or, for you readers who grew up in the '90s, maybe mor After a foray into science fiction, New York Times bestselling author Victorine E. Lieske returns, in part, to familiar territory. The Practice Date is a roughly 11,000-word novelette that is a romance (like Not What She Seems) and is young adult (like The Overtaking) but is neither a suspense story nor a science fiction tale. Think of it as a short John Hughes film, in print form. Like the Reader's Digest annotated version of Pretty In Pink. Or, for you readers who grew up in the '90s, maybe more like She's All That. Or maybe, considering the premise, more like Some Kind of Wonderful, with the focus on Mary Stuart Masterson instead of Lea Thompson. You get the idea. It's a high school age rom-com. Most people who've liked Lieske's other books will like that. The Practice Date places it's focus on the plainly-named Jane, who is troubled that her one-time best friend, Lance, has abandoned her to hang out with the high school in-crowd. Then one day, he shows back up in her life, which she welcomes. But he wants her to help train him up to land a date with a cheerleader ... which is definitely not a welcome development. Because in their time apart, Jane's figured out she has feelings for Lance that go deeper than friendship, and she's so smitten that for the chance to spend time with him, she'll agree to almost anything ... even if it means allowing him to practice his dating etiquette ... on her. At such a brief length, Lieske's lean, taut prose paints a nice portrait of Jane and Lance, and keeps her supporting cast small. Unfortunately, those who do appear in support are not as well-developed as they might be. The most interesting of these is Nick, the jock who befriended Lance and brought him into the In Crowd. Nick barely appears in the novel directly, but his role in critical in many ways, and he receives an interesting, cliche-breaking backstory. Only slightly less interesting is Colleen, Jane's best pal, who plays a solid support role, trying to knock some common sense into her friend, but never has a chance to break out and establish a life outside of her role as Jane's friend. Tiffany, the cheerleader of Lance's affections, is virtually invisible in the book, except by reference in dialog, and so is underdeveloped as a rival for Lance's affections. So the third-most-interesting supporting cast member ends up being Andrew, Jane's little brother, who is by turns a terror and a surprising source of support at times. In other words, he's... a little brother. The parents in the novel don't quite reach John Hughes level, and barely show up to say, "Hi," a couple times. Of course, the life of a teen girl with a crush rarely revolves around her parents, so with only 11,000 words to play with, they relative invisibility of both Jane's parents, and Lance's, is forgivable. Like all novelettes, the short form enforces a precision of focus upon the narrative, which is why the supporting cast feels a bit underdeveloped. Fortunately, this focus also allows both Jane and Lance to shine as the stars of the brief tale. The characters inhabit a seemingly-nameless Middle American town that, fortunately, is not lacking in some personality; after reading about Jane and Lance's outing to Stuff-It Burger, I immediately wished there were such a franchise and that one existed near enough to visit. Taking the tale for what it is ... a very short novel with a tightly-focused tale ... The Practice Date is a lot of fun for as long as it lasts. The book will certainly leave the reader wanting more, and for that, there is Not What She Seems and The Overtaking. The Practice Date serves as a pleasant appetizer for both of Lieske's other works, but isn't enough to constitute a full meal on it's own. This was such a cute short story. And that's exactly what it was - a short story. Fairly fast paced since you can read it in maybe a day or two. I got it from Amazon as a freebie and since I'm a sucker for romance, I downloaded it and was left saying "Awww how cute" so it was nice. This is about a teen girl named Jane who has been in love with her friend Lance since they were kids. Of course he's oblivious to this fact and when he approaches her for a favor, she agrees to helping him. Unfortunat This was such a cute short story. And that's exactly what it was - a short story. Fairly fast paced since you can read it in maybe a day or two. I got it from Amazon as a freebie and since I'm a sucker for romance, I downloaded it and was left saying "Awww how cute" so it was nice. This is about a teen girl named Jane who has been in love with her friend Lance since they were kids. Of course he's oblivious to this fact and when he approaches her for a favor, she agrees to helping him. Unfortunately that favor involves her helping him get another girl to Prom with him... not her. He practices all of his moves on Jane who is falling hard for him with everything he does, but it's leading to heartbreak knowing all of this is not for her but for the popular cheerleader he wants. I would have changed one thing about this story. Of course I won't say whAt because I don't want to ruin it for anyone but other than that it was really cute and sweet. Jane had been friends with Lance her neighbor since they were kids, she now 16 and he is now 17. They used to hang out playing the video game Avengers, but for a little over a year now he has been hanging out with the popular kids. Not once thinking to include her or visit her. On this day on her way home from school he is waiting on his porch as she passes so he can talk to her. When he speaks to her she acts like she didn’t notice him. Then he asks if she wants to hang out. She knows there i Jane had been friends with Lance her neighbor since they were kids, she now 16 and he is now 17. They used to hang out playing the video game Avengers, but for a little over a year now he has been hanging out with the popular kids. Not once thinking to include her or visit her. On this day on her way home from school he is waiting on his porch as she passes so he can talk to her. When he speaks to her she acts like she didn’t notice him. Then he asks if she wants to hang out. She knows there is something up and wants to get mad but instead says okay to see what it is. When they get all settled in her den playing several rounds of Avengers, he drops the bomb. He needs a complete makeover to get the right to ask Tiffany, the most popular cheerleader out. The love of his life, out to prom. With each word he is stabbing her in the heart. Of course she wants to drop kick him at this point for not seeing she is in love with him. She agrees to help only because she thinks of all the time they will spend together, in each other’s arms while she teaches him to dance. Some time with him is better than no time with him. During the last event a kiss was stolen and the nerd who was turned into the swan panics and leaves. He tells her he will be back tomorrow. She thinks she’s blown it. Does he come back? Can Jamie ever tell Lance her true feelings? Or is she doomed to create but never be the princess at the ball? I really enjoyed this young adult short story. Lance ended up being a really sweet guy that brought a happily ever after to this story. Which was nice truly a sweet story. Got it free from Amazon. It was short, fast-paced and it spares me from drama. I couldn’t relate ‘cause I have never been in love with a friend, but it was easy to put yourself into the character. The thing was I don’t like it that much, yes, it was less dramatic…but maybe that’s what it lacks. Imagine, your childhood friend shut you out without a word and you could just let him back in your life that easily? Only because you like him and you want to be with him? What is that? Isn’t it more painful for you? You like him It was short, fast-paced and it spares me from drama. I couldn’t relate ‘cause I have never been in love with a friend, but it was easy to put yourself into the character. The thing was I don’t like it that much, yes, it was less dramatic…but maybe that’s what it lacks. Imagine, your childhood friend shut you out without a word and you could just let him back in your life that easily? Only because you like him and you want to be with him? What is that? Isn’t it more painful for you? You like him, you’re friends and he forgot about you until he asked for your help. I was waiting for the girl to act, like to make him realize what he did to her. How painful it was to be detached to his life without even knowing why. I know, the guy has his reasons, but you’re friends, right? Why hide something from her? Doesn’t he trust her? Plus the fact that he told her he loved someone else on the face then changed his mind on the process. I don’t understand. Anyways, since it’s just a novelette I gave it a chance. It was sweet and cute, and confusing at the same time, but I enjoyed it. Jane's friend and neighbor, Lance, has broken her heart. They used to hang out all of the time, but now that he's "in" with the popular crowd, she's history. She's also in love with him. When Lance asks Jane for help in training him to be the perfect date for a popular cheerleader, Jane jumps at the chance to spend time with Lance again. Even if it means having her heart broken again. This was a short, cute, sweet (clean) story. Lance was pretty clueless, but that's probably pretty typical of the Jane's friend and neighbor, Lance, has broken her heart. They used to hang out all of the time, but now that he's "in" with the popular crowd, she's history. She's also in love with him. When Lance asks Jane for help in training him to be the perfect date for a popular cheerleader, Jane jumps at the chance to spend time with Lance again. Even if it means having her heart broken again. This was a short, cute, sweet (clean) story. Lance was pretty clueless, but that's probably pretty typical of the age. His reasoning for ditching his friend was kind of sad, but it did explain a lot. Still...if they were that good of friends, he should have told Jane. Jane was pretty true to a teen girl--bending over backwards to spend a few precious moments with her out-of-reach crush. I thought it was cute, but lacked depth, probably due to the length of the story. At the beginning of this title I wanted to just shake the clueless hero over and over! Then there was the devastating tragic twist of why the hero stayed away from the heroine for a year when he needed her the most. Then I was like, "Oh!...". Then after that the perfect dates, holding hands, thoughtful gestures, and those sweet but heart attack inducing kisses that followed just for practice and I was like in total swoon readers. The near end HEA twist was expected, but still loved it! So this c At the beginning of this title I wanted to just shake the clueless hero over and over! Then there was the devastating tragic twist of why the hero stayed away from the heroine for a year when he needed her the most. Then I was like, "Oh!...". Then after that the perfect dates, holding hands, thoughtful gestures, and those sweet but heart attack inducing kisses that followed just for practice and I was like in total swoon readers. The near end HEA twist was expected, but still loved it! So this clean young adult romance was like a John Hughes film that made me go from mad to sad to swooning squeal. This is recommended if you need a quick romantic sunshine in your day wrapped in an authentic realistic adolescent drama. This was a new author to me. I have downloaded some of her clean adult romances as well and plan to read them soon. Sensuality: Squeaky clean. Sweet emotion evoking kisses of first love only. This book is all a romance book should be; fun and satisfying, with an ending that gives you warm fuzzies. Unfortunately, it suffers from 'novella syndrome'; the plot goes by so fast that you cannot connect with the characters as much as you could in a regular sized book. Still, it was one of the better novellas I've read. I could still connect with Jane, just not as much as in a 200-300 page book. I feel that this would have been even better if the author had decided to make it a novel. I would have liked to learn more about Lance's mom, and the romance would have been a bit more realistic. That's really my only complaint. This is still a great story for anyone who likes romance of YA. Actually this is one of the better romances out there because it lacks the fluff. Jane's crazy about her childhood friend Lance but for some time, he's excluded her from his life while he hangs out with the "cool" crowd. Now he's asking for her help in transforming him from the nerd that he is so that he can ask pretty Tiffany to the prom. Jane's heart sinks but to spend time with him, she tells him she'll do it. When they go out looking for "cool" clothes for him, he treats Jane to lunch and sh Actually this is one of the better romances out there because it lacks the fluff. Jane's crazy about her childhood friend Lance but for some time, he's excluded her from his life while he hangs out with the "cool" crowd. Now he's asking for her help in transforming him from the nerd that he is so that he can ask pretty Tiffany to the prom. Jane's heart sinks but to spend time with him, she tells him she'll do it. When they go out looking for "cool" clothes for him, he treats Jane to lunch and she sees that as a date. He still brings up Tiffany and her heart drops. At what point will she tell him "Enough is enough" or declare her feelings for him? Romance writers would do well to follow the lead here and be original. Limit the fluff. And by all means, nix the dead parent sob story. 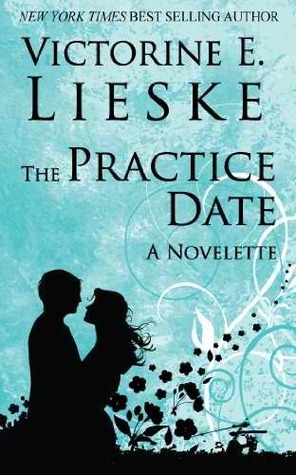 The Practice Date is the perfect read for someone looking for a sweet tale of first love and a romantic read. I really enjoyed how the two main characters, Lance and Jane, slowly rekindled their friendship after many years of not talking to each other. This eventually led to them developing into more than friends. Lieske does a nice job of writing Jane's confusion and frustration of what she feels for Lance. I connected with Jane just like I am sure many others will. It is a quick read but defini The Practice Date is the perfect read for someone looking for a sweet tale of first love and a romantic read. I really enjoyed how the two main characters, Lance and Jane, slowly rekindled their friendship after many years of not talking to each other. This eventually led to them developing into more than friends. Lieske does a nice job of writing Jane's confusion and frustration of what she feels for Lance. I connected with Jane just like I am sure many others will. It is a quick read but definitely worth checking it out. I am giving it 4/5 stars due to its fun and romantic plot that has you hooked. This was just what you'd expect from a novella; it was short, sweet and enjoyable. The narrative was fun and lighthearted and although you don't connect with the characters because o the length, it does keep you wanting to read more. I woke up at 4am to finish reading this story! You read that right. I fell asleep reading it and woke up in the middle of the night because I wanted more! It was that good. I love the author's clean, crisp writing style and how she makes you care about the characters from the get-go. I also particularly like the whole practice date scenario. I read a Sweet Dreams (Bantam) book that had a similar theme when I was in high school and I loved the movie Some Kind of Wonderful, which also involved pra I woke up at 4am to finish reading this story! I also particularly like the whole practice date scenario. I read a Sweet Dreams (Bantam) book that had a similar theme when I was in high school and I loved the movie Some Kind of Wonderful, which also involved practice dating, two good friends, and falling in love. A fun little teen read about young love. Jane and Lance have been friends forever. But suddenly Lance started hanging out with the football players and cheerleaders and Jane misses him. When Lance asks her for help getting ready to ask another girl to the prom, Jane is torn. She doesn't want him to ask someone else, but if that's the only way she can be with him, she'll help. Practice, practice, practice. And then Lance gives her a nice little surprise. Clean story, clean language. Short teen no A fun little teen read about young love. Jane and Lance have been friends forever. But suddenly Lance started hanging out with the football players and cheerleaders and Jane misses him. When Lance asks her for help getting ready to ask another girl to the prom, Jane is torn. She doesn't want him to ask someone else, but if that's the only way she can be with him, she'll help. Practice, practice, practice. And then Lance gives her a nice little surprise. Light easy reading that is not detailed enough. Reads like a short story. Just looked up the print length in Amazon and not sure how this could only be 38 pages. So, basing this on a short story, it had to be rushed and was fun to read. I guess I would have just preferred something longer with more details. I did like the plot, just would have preferred it not to be so rushed. I hate that this is going to destroy my page per book average for the year. But on the plus note, it helps me with the bo Light easy reading that is not detailed enough. Reads like a short story. Just looked up the print length in Amazon and not sure how this could only be 38 pages. So, basing this on a short story, it had to be rushed and was fun to read. I guess I would have just preferred something longer with more details. I did like the plot, just would have preferred it not to be so rushed. Amazon had the Kindle edition for free this week, so I took a chance on it and downloaded it. It's a cute novelette and only took me about forty-five minutes to read. The only thing that annoyed me had nothing to do with the storytelling but with several word misuses. I guess the editor in me is always going to get annoyed with anything short of perfection in the grammar area, but as a reader, I could stand to read this short story again whenever I need a little romance. My title says it all. Short and sweet. If you are looking for a quick YA romantic read this is it. I enjoyed this book and think how it could be turned into a movie. It would need to be expanded on quite a lot. Judging a cover... 3/5 for the cover. It looked like a YA novel cover. I don't think it had anything to do with the story. It need to be a little more geeky or quirky. It needed something else. cute teenage romance story about a girl who has decided to help her longtime crush ask the cheerleader to prom only so she can spend more time with him. he soon realizes that he would rather be with her than the cheerleader. this story reminds me about the sometimes awkward stages of dating in high school. I received a copy of The Practice Date for free from Amazon. This was a quick read that I think would be fun for most teenagers. The author made it easy to understand the frustration of Jane who was spending time with a boy who liked someone else. (Men!) I liked that the novelette was a clean romance and seemed well-written. 3 ½ Stars. Clean romance. It was kind of sweet, yeah, but predictable from the very first word. And Jane... a friend - who happens to be your biggest crush - doesn't say a single word to you in years, and you let him use you at the first opportunity? HELL TO THE NO. And Lance... selling out your Star Wars collection only to impress someone? Kid, you've got to be kidding me! I've enjoyed this author's Married Series so thought I'd give this one a try. This story is fine but not one I would rave about. Didn't really connect with either character probably because it was so short. The first time I read this I loved it. But when I read it again (so I can put it into Goodreads), I really disliked it. I really don't know what changed my mind. I thought the book lacked something, not sure what it is (and trust me, it's annoying me). Maybe if I read it again I might like it. This was a really short and quick read. Very predictable, but still very cute. Since it was so short, Victorine wasted no time in the progression. This reminded me of a cheesy 80’s romantic comedy. It was clean, had some romance, and some minor confusion between the main characters. This was a short, sweet book that made me laugh and root for Jane! This was a good book! A super cute short story about friendship and the power of first love. The Practice Date was a fast read, but the writing was good and watching the two main characters fall in love was sweet. Well worth the short time it took to read and def an author to check out.